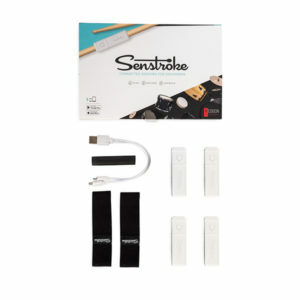 Senstroke is the first connected solution that allows you to play drums, register and improve anywhere. Using Bluetooth technology, simply attach Senstroke sensors to its battery sticks and your feet, and play on any surface. Senstroke gives allow you to play everywhere. Just take your sticks, your sensors & app. You can then play on what you want: transform any daily object into a snare drum, tom, or cymbal ! 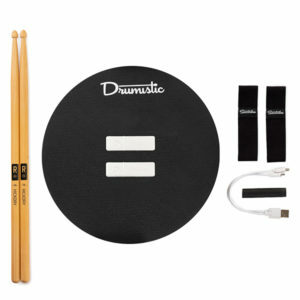 The sensors allow you to record your drumming sessions without any effort. From your smartphone, tablet or computer, save your playing sessions in MIDI format in one click with our application or your favorite MAO software ! Senstroke allows you to progress on drums. You can finally play as much as you want ! In addition, thanks to our many free updates of the application, you will soon be able to enjoy interactive lessons. 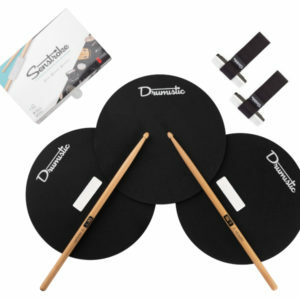 With Senstroke, discover the first connected drumkit that allows you to play, register and progress by playing on any surface. The Senstroke application is free and compatible with smartphones and tablets under IOS (.10 and above) and Android (.6 and above), we recommend you to consult our list of supported Android devices. Starting to play with Senstroke is very fast and easy : launch the application, connect the sensors, and play anywhere ! 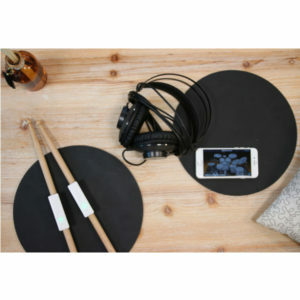 Our product has been designed to capture all the rebounds of the sticks and the vibrations of the feet, whatever their location and your playing surface: whether you play on a table, a cushion or your knees, find the sensations of a real drum kit! As a drummer, you know that recording on drums can be complicated and expensive, so with Senstroke, record your playing sessions in real time as MIDI files, either on our application or with any MAO software. If you want to improve, it is essential to practice and work on different exercises every day. You will be able to have drum lessons and follow your progress in real time thanks to our updates ! Redison brings you innovative solutions to make your life easier. Thanks to new technologies and innovation, our wish is to offer new solutions for people.  Redison Music is the 100% dedicated subsidiary of Redison. Passionate about music and drums, we choose Senstroke as the first of many projects ! Follow us on social networks and share the project! We are very reactive : we’ll get back to you at the speed of light !